Jim Reilly and Rosa, canter depart from halt in a hackamore. Courtesy of Jim Reilly. The original topic of this article was going to be a straightforward presentation of the footfall sequence of the horse, the cycle of movement of the foot and leg, and lastly the biomechanical relationship through all gaits of the horse’s hips, barrel, and shoulders and what it all means for the rider. Thus, the title would have been something like “The feet-where are they?” However, as you can see, that is not the title of the article because as I began to write it, it dawned on me that there were other things which needed to be included. These include the importance of a balanced position of the rider, what lightness is and the difference between it and softness, what the principles of riding in lightness are and how to school the horse for them, understanding resistances on the part of the horse and what to do about the, with all leading to the original theme of footfall and what it means for the rider. So I started all over again and after much thought decided on the current title which I believe needs a short explanation. Everything mentioned above are all ELEMENTS. An ELEMENT is a fundamental and essential part of a whole. When all the elements are pieced together, as in a puzzle, they can create SYNERGISM. This is defined as the interaction of elements that when combined produce a total effect that is greater than the sum of the individual elements. This is what all riders should constantly strive for in all their work. At this point I must say (and I could be mistaken) that, based on my extensive research of the literature, the depth of detail and explanation presented herein is not to be found anywhere else. One thing to be aware of, as a precursor to all that follows, is what I call the four inter-related aspects of riding. First, we will consider the concepts of riding. The concepts will evolve from a study and understanding of the horse and of ourselves. This means gaining knowledge of the physical, mental, emotional, and spiritual makeup of each one, plus figuring out the all important motivational aspects of each one. Hopefully these will be helpful to you in developing your own set of principles. Second, intertwined with the concepts of riding, is the theory of riding. Theory comes from the study of the works of the riding masters of the past and without which steady progress will be nearly impossible to achieve. Theory without practice is useless but practice without theory is equally useless. However, in the final analysis, the experience of riding many horses is irreplaceable. 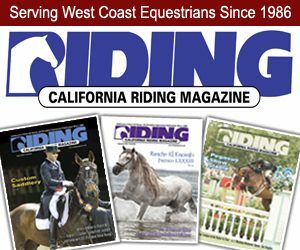 Third is the techniques of riding (which entails combining correct practice with the study of theory supported by the guiding direction of a knowledgeable teacher), i.e., learning the how, when, and where to place the rider’s body parts to influence the horse to perform the movements we need him to do in whatever discipline. Last, there are the dynamics of riding–the time when the concepts, theories, and techniques must all come together in the moment when astride the horse who is using all of his 205 bones and 436 muscles to work either in harmony with the rider or to create his own agenda because of lack of clear communications on the part of the rider, or because he believes that he must resort to a self-preservation mode. Another thing to recognize and acknowledge is where each of us is on the Neuro-linguistic Programming Scale of Learning (a school of thought about how people think and learn) — at least as it applies to riding horses. The first level is being UNCONSCIOUSLY INCOMPETENT, i.e., not knowing that we don’t know. Perhaps because we have been around horses all our lives or we have ridden all our lives or we have won prizes in competition. Then, maybe a life-defining moment occurs and we reach the second level; namely, being CONSCIOUSLY INCOMPETENT, i.e., realizing now that we don’t know and seek help to rectify it. Thus we now enter the third level – namely becoming CONSCIOUSLY COMPETENT. At this level we are thinking our way through the process of the techniques of riding and we recognize that we know that we know. Then, in fits and starts, little by little, while still at the third level we incrementally start to reach the fourth level of becoming UNCONSCIOUSLY COMPETENT, i.e. we don’t consciously think about the process of “doing”, we just “do it”. However, central to all else is the position of the rider, so let’s begin there. First, it is paramount that the rider’s position stay in balance with the movement of the horse by keeping the distribution of his/her own weight in harmony with the equilibrium of the horse. It is critical to do this in order to achieve the horse’s best performance. Any imbalance is a major obstacle to impulsion and balanced movement. Both Francis Dwyer (On Seats and Saddles, Bits and Biting, 1868) and Waldemar Seunig (Horsemanship – a Complete Book on Training the Horse and its Rider, 1941; English language edition, 1957) specifically mention the fourteenth or about the fifteenth spinal (aka – thoracic or dorsal) vertebrae as being the center of motion (or the balance point but not the center of gravity) of the horse’s body. This area is the place where the rider’s ischia (seat) bones should rest, with the understanding that the upper body is constantly adjusting itself, ever so slightly, to stay in balance with the horse, i.e., weight in motion, so to speak, just as it does even when we think we are standing perfectly still. Another way to look at this is that if the rider sits correctly in the area of the horse’s 14th/15th thoracic vertebrae, the rider will have a position that will be able to influence the horse (through activating signals) but not have the seat be influenced by the movement of the horse (This is a big deal). When we sit in balance so that our skeletal structure is allowed to do its job of fighting gravity, then we are free to use our muscular structure, tendons and ligaments with great elasticity. However, any deviation from this balance by by the rider leaning forward, backwards, collapsing one side or the other, etc, will transfer responsibility of fighting gravity from the skeletal to the muscular system. The first place this imbalance will show up is in the pelvic girdle area where the hips will start to “lock up”, or in other words, cease moving. This, in turn, will cause the rider to grip or squeeze (as opposed to having an “elastic” firmness) with the thighs, knees or lower legs (or all together) as well as grip the reins with the hands. These actions will cause a loss of “feel” and the ability to follow the rolling motion of the horse’s hips as they alternately move forward and up and back and down in a shallow figure eight configuration. So, it is absolutely necessary to strengthen the rider’s core muscles in order to be able to sit in balance over the seat bones with hands and legs completely relaxed, i.e., with “tone” but not flopping loosely. This will allow us to isolate only those muscles which we want to use to elicit a response from the horse and to then put them into action at the correct time or to increase or decrease the power and rapidity of their actions, but with sufficient control to not use other body parts that are not required for the movement. 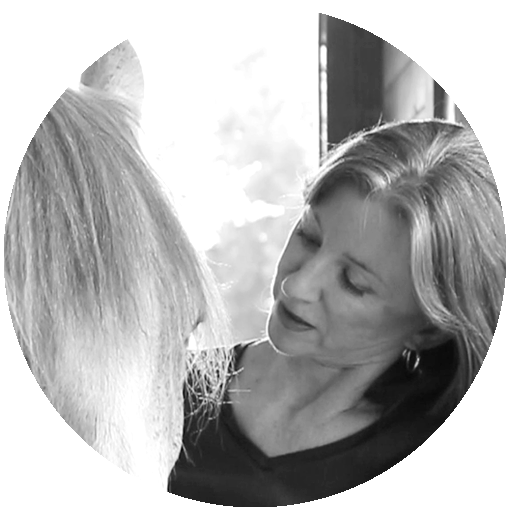 Being relaxed in our position and hands is the only way that we will be able to “listen” to what the horse is saying to us and for us to begin the process of developing lightness in the horse. It is well to remember that the degree of steadiness and softness of the hands is an indication of how independent and balanced the seat is (that is, not needing to grip with hands and legs to stay on the horse). The horse and rider must use the connection between the rider’s hands and the horse’s mouth through the bit in a “feeling” manner when schooling because the degree of what we feel in our hands reflects what is happening everywhere else in the horse’s body. However, it is very important to always keep in mind to never let the hands override the legs, otherwise the rider will stifle the horse’s balance and rhythm. If the work is done correctly, we can develop the horse so that there will be an absence, ideally, of resistance in his response to our signals, which I call LIGHTNESS and which is a physical, external thing. Lightness can only be achieved if the horse is balanced in all his movements. Such a balance comes from his gaining strength and suppleness through gymnastic exercises over time. This physical lightness will eventually transform itself into an understanding of our requests resulting in a mental relaxation or what I call SOFTNESS, which is an internal thing…kind of a “Star Trek” like mind-meld. Viewed from a procedural perspective of Cue Pressure, Response, Release, we would like to eliminate the “P” from the equation, but, at the same time, never forgetting that, in the beginning, we may have to go through the body to get to the mind with firmness and direction but not harshness or punishment. I use the term “cue” vs. “aid” because to me, an aid is providing physical help to the horse in terms of a firm use of the legs, hands or whip, while a cue is a much more subtle use of the hands or legs to which the horse responds prior to enacting an aid—sort of a “positioning” of the hands and legs prior to enforcing it with an aid. Regarding this, I always remember what my friend and teacher Mike Bridges (an ècuyer of the discipline of vaquero style horsemanship) says (which echoes the teachings of Gustav Steinbrecht [Gymnasium of the Horse 1885]); “If you miscue or force the horse to perform a movement you will teach him to perform it with resistance. Then it will take more time to re-program and correct it which causes inefficient use of energy.” I will also add that if you do not present the developmental gymnastic exercises to the horse in the correct sequential order, this will result in the same problem. Additionally, each movement or exercise has a certain gymnastic effect on the horse’s way of going and the rider must choose the exercises to ride based on the horse’s current needs and abilities. Further, if the rider teaches and rides the exercises without their gymnastic effect in mind it will turn in to mere mechanical riding. The horse will create resistances (or “braces”) in his body on two levels and they need to be recognized and addressed immediately. Mike Bridges calls the first one a SOCIAL BRACE. This means that the horse doesn’t understand where his position in the herd is, (herd = you and the horse) or he does know and doesn’t want to give up his #1 herd position. These types of braces are manifested by pushing, leaning, charging, striking, kicking, turning the hindquarters to you, running from you, refusing to be caught, haltered and so on. Such braces must be corrected IMMEDIATELY. “House” rules must be established, boundaries set and desired behavior taught. Then the rider must ensure that they are always adhered to by the horse. The second type of brace is a TRAINING BRACE. Training braces are caused by imbalance and lack of understanding. The rider’s clarity of thought with purpose gives the horse direction because if what we present to the horse is not effective, then it is not understood. If it is not understood, the horse becomes confused. When he gets confused, he gets scared and when he gets scared then he becomes resistant. He may also become resistant when he is not given time to think and “explore”, being pushed beyond his physical and mental capabilities at a given time, and not having clear boundaries upon which to base his behavior. Punishing the horse for these braces can generally only create more resistances. So we must find ways to present what we want in a manner and sequence which is understood by the horse, but with the thought being to get to the point. It would not be wise to make the mistake of turning patience into procrastination. A couple of good guidelines to remember are: 1) the horse learns as fast as the horse learns, not as fast as the human wants him to learn, and 2) for the human; where knowledge ends, frustration begins, followed shortly thereafter by force or brutality. In schooling the horse, I offer this recommendation; get him to a minimum level of understanding which must then continue to be refined. Present whatever new movement or exercise you are working on for five days in a row, two sessions of 30 minutes each per day doing an odd number of repetitions (3- 5), in an odd number of sets (3-5), in an odd number of locations (3-5), meaning different locations in an arena. Then go on to something else and give the horse a mental and physical break. Then return to the work again in 10-14 days. Armed with this general “formula” let’s examine the guiding principles for riding in lightness. 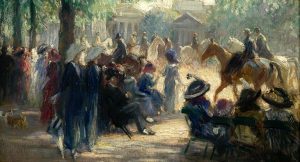 These principles are to be used both separately and in combination in schooling the horse, but the order of presentation is not necessarily to be followed in a rigid manner. Always remember to prepare the horse for your signals before enacting them. (Kind of like the red, yellow, and green colors of today’s traffic signals). These principles can be looked upon as establishing the essential communication system with the horse. or using both reins with the same pressure to ask the horse to perform a turning movement. In other words, the aids/cues should not contradict each other, i.e. using restrictive signals and/or propulsive signals at the same time. The second principle is the RELEASE OF THE SIGNALS, meaning “softening,” not abandoning, them as soon as the horse begins to respond. This involves a lot of FEEL, TIMIMG and BALANCE on the part of the rider and BALANCE, STRENGTH, SUPPLENESS and UNDERSTANDING on the part of the horse. 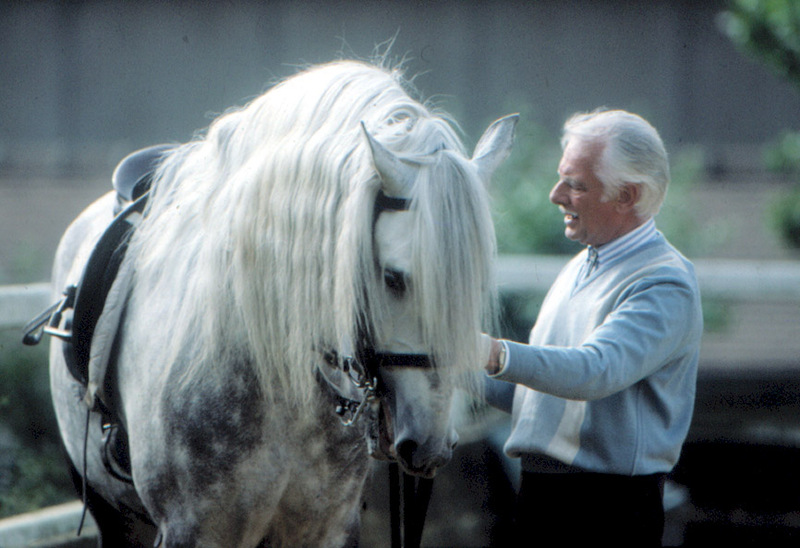 A good guideline to follow is to begin your signal at a level of pressure you would like the horse to respond to eventually (a cue) but then quickly and smoothly “ramp it up” to the level of pressure that he responds to (an aid) — then start again at the “cue” level (Think in terms of “Invite”, “Request”, “Insist”, “Demand”). By this I mean ,when giving signals with the legs as an example. “Invite”—tightening the calf muscle against the horse’s side by curling or clinching the toes in the boot. “Insist”—Stroking (not poking) with the rowel of the spur in an upward manner by pointing downward with the toes. It has been my experience that it doesn’t work to the benefit of the horse by going from heavy to light—nor for the human. The main purpose of the signals is to initiate an action or restore it, but never to maintain the action. Paul Belasik, (a classical dressage rider who has schooled horses to Grand Prix level as well as Airs above the Ground), says “impulsion without lightness is only workman-like riding at best and a horse held up by the reins is still the antithesis of correct riding”. The third principle is MODERATION OF THE SIGNALS. For the hands this means a duration of about ½ second for active use, keeping in mind that the hand can become active, or resist, or yield, but never pull backwards, unless intended. Hanging on the reins will only build resistance, so using a series of “lightening quick” actions and releasing them to achieve a response is best. The goal is to achieve a response by slightly adjusting the “weight of the rein”. For the legs, it means, in the words of Arthur Kottas-Heldenburg, (former First Chief Rider at the Spanish Riding School), “a horse must be taught to ‘listen’ and respond immediately to the leg before introducing transitions”. This is achieved, NOT by kicking the horse harder or longer or nagging him into insensitivity with little ineffective taps, but by lightly touching him and then immediately following up with a firm, but light and quick touch of the whip just in back of where the leg acted upon the flanks of the horse. It would be well to ensure that you are clear in your signals so as not to confuse him, for instance moving the leg back toward the stifle joint for an increase of speed or thrust and ‘lifting up’ the leg (think of brushing the hairs of the horse up and down) for a transition up to a faster gait, or ‘softening’ the leg for a transition down to a slower gait. The goal is to achieve a response from, as the French say, the “wind of the boot”. knowing at what precise time to activate signals so as to be in harmony with the horse’s natural movement and not create physical or natural resistance. It also (and this is very important) encompasses the other three principles. They must be “honed” to an extreme of efficiency, which can be considered a condition for optimal execution of the signals by the horse. This article will not address the correct alignment of the horse’s structures since they change slightly with the requirements for each gymnastic exercise and gait change, and that is not the focus of this article. However, it is important to remember that how (i.e. the quality) the horse performs a movement is more critical that what he does in order to be gymnastically beneficial. So the central question becomes “How will I know when to time the signals to be in harmony with the horse’s movement?” The answer to this question is not so simple. It involves the last of the four above discussed principles and yet it encompasses the other three as well. We can school the first three all we want but if the fourth principle is not carefully “set up” then the other three will be diminished in value. We must first understand how the locomotive parts of the horse move which we want to influence for timely responses to our signals. Much of what follows may seem to be repetitive – and it is because the feet, legs, hips, barrel, and shoulders are all linked together. Also by being somewhat repetitive it will help the rider in the learning process. For the remainder of this article it would be best, for a clear understanding, to actually observe a horse in motion while you read this part of the article. As understanding increases you should be able to replace the physical being of the horse with a mental visualization as you read until finally you can feel and unconsciously know what I have written about while riding the horse. So let’s begin with the cycle of the horse’s foot in its movement. We’ll start at the walk gait when a hind foot is forward and on the ground under the horse (it doesn’t matter which one and the same applies to the fore feet). It is planted and thus becomes weight-bearing. Then it begins its traction or pulling phase (traction is defined as adhesive friction) as it moves rearward and continues to be weight-bearing. Then when it reaches the end of its “stroke” rearward and moves past the point of the buttocks (in its thrusting, not carrying, mode) it pushes against the ground, (still weight-bearing) but then immediately lifts off the ground and flexes thus becoming non-weight bearing. Then it swings forward in a non-weight bearing mode before it again plants itself on the ground and again becomes weight bearing. So in summary, the feet are weight-bearing during the plant, pull, push phase and are non-weight-bearing during the lift/flex and swing phase. A point to remember is that when the foot is weight-bearing it cannot respond to a signal request for a movement other than to go forward. But when it is in this mode it can be signaled to provide more thrust, “drive” or carrying power. In its non-weight- bearing phase it can respond to signals requesting lateral movements or deeper placement under the mass of the body. Now how do the feet tie in to the sequence of leg movement? We’ll begin at the walk gait with the left foreleg. As the left foreleg swings forward, the next leg to move and swing forward is the right hind leg. So, in a sense, the left foreleg “pulls” the right hind leg forward (a diagonal “pull” so to speak). As the right hind leg swings forward it “pushes” the right foreleg forward (a lateral “push” so to speak). As the right foreleg swings forward it “pulls” the left hind leg forward (a diagonal “pull” if you will). As the left hind leg swings forward it “pushes” the left foreleg (a lateral “push”) which swings forward and starts the cycle all over again. To briefly sum up: the leg sequence movement is a diagonal “pull” and a lateral “push” when beginning the cycle with a foreleg. If the cycle begins with a hind leg moving first, then it would be a lateral “push” followed by a diagonal “pull”. Of course the legs move not in isolation of each other but in synchronization with each other. Here is an interesting observation. Regardless of how the horse’s feet strike the ground (in a four-beat walk, a two-beat trot, a three-beat canter or a four-beat gallop) the order of the movement of the legs does not change. This becomes an all-important factor when riding, once you develop feel and the correct timing of your signals. One example to illustrate this is as follows. When a horse is trotting, it is in a two-beat diagonal leg moving gait. So when his left foreleg is moving forward his right hind leg is, at the same time, moving forward and the feet both land on the ground at the same time — just as in a normal walk gait when the same legs (left foreleg and right hind leg) are involved, but the feet land one after the other. Now how are we going to know that without leaning over the side of the horse to see what’s moving and when? The answer lies in knowing the relationship between the hips, barrel, shoulders, legs and feet during movement. The hips move in a shallow figure-eight manner. When, for example, in the four beat walk gait, the right hip of the horse is forward and “up,” it means that the right hind leg has moved forward and the foot is planted on the ground under the barrel of the horse. For this right hind leg and foot to have moved forward, the barrel had to move slightly to the left to make room for the leg to swing forward and the foot to be planted. As this is taking place with the right hind leg, it “pushes” the right shoulder, which was in a backward position, forward, moving the right foreleg from being back to forward, and planting the right front foot on the ground. With the foot now planted the shoulder is now in a forward position. As all this is occurring on the right side of the horse, the opposite is happening on the left side. Here is how that side works with reference to the right. When the right hip is in the “up” position, with the right hind leg forward and the foot planted on the ground under the barrel of the horse, the left hip is in a “down” position. This means that the left hind leg has now reached the end of its “stroke” and is positioned out behind the point of the buttocks when in its thrusting mode and the left hind foot is starting to lift off the ground into its non-weight bearing mode with the pastern flexing. Now, the barrel (which had moved slightly to the left to make room for the right hind leg to move forward) will start its move slightly back to the right to make room for the left hind leg to swing forward and plant the left foot on the ground under the barrel of the house. During this entire evolution from the backward to forward swing of the leg and the lifting and flexing of the foot, the left hip is in a “down” position. Once the foot lands on the ground again it is in its weight-bearing phase. Thus the cycle is completed and the hip is once again in an “up” position. Regarding the shoulder, as the left hind leg swings forward, with the barrel moving slightly to the right, it “pushes” the left shoulder (which was in a backward position) forward moving the left foreleg from being back to forward and planting the left front foot on the ground. With the foot now planted the shoulder is now in a forward position. In summary, when the hip is in a “down” position, the leg is out past the point of the buttocks and is at the end of its stroke with the foot beginning to lift off the ground with the pastern flexing. The hip stays in the “down” position through the swing forward of the leg with the barrel moving slightly out of the way, until the foot once again plants itself on the ground, which causes the hip to go back to the “up” position. It stays in the “up” position until once again it reaches the end of its stroke when it is once again past the point of the buttocks. At almost the same time (remember the gait is still a four-beat walk) the shoulder and foreleg on the same side, which were in a back position when the hip was in a “down” position, will start to swing forward, being “pushed” by the hind leg as it swings forward, until the front foot is once again planted on the ground. When that happens the shoulder will now be in a forward position and the cycle begins again. This all has great meaning for the rider who really wants to “blend” in with the movement of the horse and learn to communicate his/her request in a more natural, flowing manner in order to eliminate any resistances in the schooling and development of the horse. This is all well and good but the “engine” of the horse is in the rear, in other words, the hindquarters. One must concentrate on the horse’s hindquarters because this is the key to controlling the whole horse. It is here that the rider should learn to feel with the seat (specifically the ischia bones) which is the closest connection the rider has with the horse, when it is most opportunistic to apply the signals. So what is presented in this part will be when to do this in relation to whether the horse’s hips are forward and up or back and down. Let’s begin at the walk at the point when the right hind leg has completed its swing forward, and the right hind foot has just planted itself on the ground under the horse. The foot is now at the beginning of its weight-bearing phase (refer to Cycle of the Foot). The rider will know this because the horse’s right hip will be at the apex of its “up” position. It is at this moment in time, if the rider signals the horse with the right leg, (i.e. moving the leg with no pressure against the horse but in a “hair brushing” slightly backward motion toward the stifle joint) the horse can provide more power in a thrusting or “driving” manner because the foot and leg will be in the plant, pull (traction), push phase of movement. 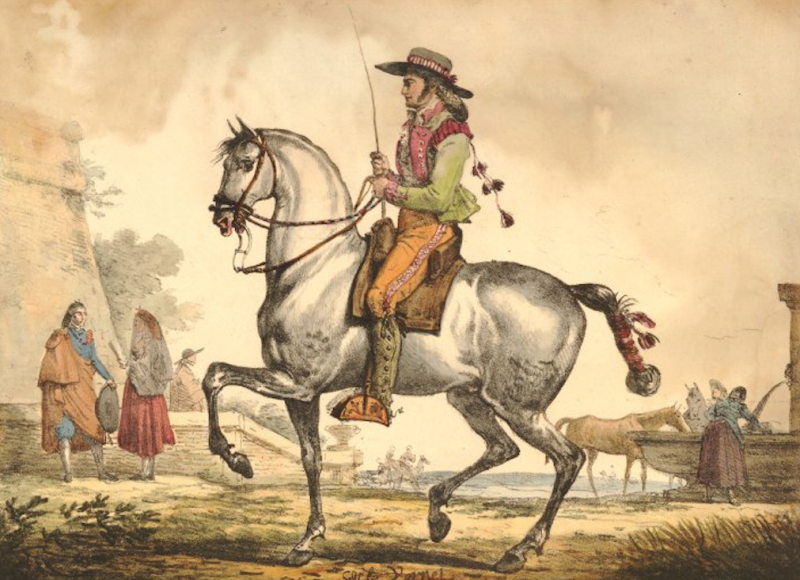 Later on, as the horse develops more strength and balance he may be able to convert the thrusting power to more carrying power needed for certain advanced dressage movements as well as putting more “bounce” or “spring” in his step—provided the rider’s signals are given at the correct time. The rider can also use this same moment in time (knowing that the right shoulder and leg of the horse are just about completing their swing forward and the right front foot is about ready to plant itself on the ground) to ask the horse to accelerate his right shoulder and leg more to the left (when traveling on the left track or on a left circle). With the addition of a slight rein signal, have him cross his right front leg over and in front of his left front leg. By continuing to “drive” his right hind leg every time the right hind hip is in the “up” position and maintaining forward movement, the rider can cause the horse to make smaller and small circles until he steps around in a “turnaround” movement – or on a straight track move his line of movement more to the left. Now, as the horse’s right hind foot and leg go through their weight-bearing plant, pull (traction), push phase of movement, the right hip will start to move back until the foot and leg are past the point of buttocks, the foot is beginning its lift and flex phase, and the leg is beginning to start its swing forward in their non-weight bearing phase of movement. The rider will know this because the horse’s right hip will be at the maximum point of its “down” position. It is at this moment in time, the rider signals the horse with the right leg, either by moving the leg in a slightly backward motion toward the horse’s hip and with pressure against the horse’s flank so as to move the horse’s leg in a lateral motion; or, he keeps the leg in position at its normal mid-body of the horse position to move the horse’s whole body to the left in a forward lateral movement. Now the horse can move his right hind foot and leg deeper under himself, or move it in a more lateral direction. This is because the foot will be in the non-weight bearing lift and flex mode and the leg will have begun its swing forward. Therefore, movements such as turn-on-the-forehand, leg-yield or half pass can be asked for by the rider in harmony with the horse because the foot and leg are “free” to move. All this works together once the rider masters the coordination of the use of the signals and he/she knows and feels where the feet and legs are in relationship to whether the horse’s hips are “up” or “down” is as described hereinafter. For example, there is another way (besides “driving” with the outside leg) to ask a horse to continuously decrease the size of a circle until he steps across and in front of the opposite foreleg in a “turnaround” manner. Riding on a circle to the left at the walk with the horse tracking correctly and with a bend appropriate to the diameter of the circle, if the rider wants to decrease the size of the circle incrementally (say about 12” each revolution) he can use his right (or outside rein) rein to do this by slightly bringing his right hand back toward his stomach (second thumb knuckle toward the belly button, so to speak). If he does this when the horse’s right hip is in the “down” position (meaning the right hind leg is swinging forward and is “pushing” the right shoulder forward) he will slightly delay the forward movement of the right shoulder. Remembering that the right foreleg “pulls” the opposite hind leg (the left hind in this case) in diagonal-moving manner, he will also “hesitate” the left hind leg in its position which is with the left foot planted on the ground in a weight-bearing mode under the horse and the left hip in the “up” position, thus giving the horse a solid base of support under himself upon which to move his front end around. If the rider uses his signal correctly in time with the “feel” of the horse’s hips—putting the signal in when the outside hip is in its “down” position AND quickly releasing it—and continues to signal/release each time the right hip is in the “down” position, the horse will move in an ever-decreasing circle until he must cross his right front leg over and in front of the left front leg. This action will move his front end quicker around than his hindquarters in a turnaround-like motion with the left hind leg and food in a weight-bearing mode as a solid base of support, and in a forward moving manner. It has been said that the right rein controls the opposite (left) hind leg and vice versa, which is true, because of the rein effect on the foreleg on the same “rein” side which, in turn, governs the opposite hind leg. Another benefit in regard to knowing when the horse’s hip is in the “down” position and the shoulder is back is that, when it is in that position, the rider can easily ask the horse for lateral flexion at the poll or bend through the neck because the horse will not have, as yet, “stepped into” that requested position with his shoulder and leg so it will be comfortable for him to flex or bend. One other benefit accrues to the rider by acquiring this knowledge and feel. If the rider correctly signals the horse for a canter depart (a “lifting” feeling) not a lope depart ( a “thrusting” feeling) by moving the outside lower leg, depending on the lead desired, slightly back with no pressure and then immediately slightly “lifting” both lower legs together with a little pressure (like brushing the hairs on the horse’s flanks in an upward manner), when the horse’s outside hip is in a “down” position, he/she will get a straight canter depart, not one where the horse is bent like a banana, AND it will occur immediately. It can be done either from the walk or the trot. A canter depart also can be executed from the halt, provided the rider poised the horse correctly with the outside hind leg (depending on the lead desired) engaged under the horse and the hindquarters also engaged or “loaded”. The horse’s back should be round or “open” and the horse set up in a slight uphill frame. The rider’s signals remain the same; here’s why. The signal is given when the outside hip is in a “down” position, meaning the foot is leaving the ground and the leg is started to swing forward and begin its non-weight bearing phase of movement. In the next instant the horse will plant the foot on the ground, and a little more under the mass of the body, in its weight bearing phase of movement. Since the outside hip, leg, and foot constitute the first beat of the canter the horse is in a perfect position to “thrust” or “carry” that leg with more power and execute the CANTER depart. Of course, this will take a lot of practice on the rider’s part to get the timing correct as well as patience with the horse as he mentally and physically works out that the rider is requesting of him and when. It goes without saying that all that has been presented above needs to be reversed when starting with the left hind foot planted on the ground under the horse in a weight-bearing mode. While this complex discussion initially may appear to be terribly confusing and complicated and not worth the effort to learn, it should become clear in time and with diligent study how all of the foregoing, working in concert, can create the necessary synergism which will lead to the creation of harmony between the rider and the horse, as both journey down the path toward “oneness”. I wish you all the best of luck in reaching that “weightless” place. 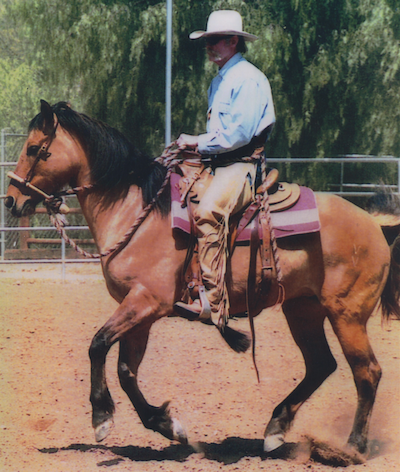 About Jim Reilly: Jim Reilly is a student of horsemanship in the truest sense of the word. His scholarly approach to understanding horse-rider communication is comprehensive. Drawing upon knowledge and practices of expert horsemen from multiple riding disciplines, both past and present, he has developed his program of “Progressive Harmony Horsemanship”. Thank you for this article. So much to learn. So happy to have stumbled onto your blog – your writing is exquisite and the depth to which you explore the topics in your articles is refreshing when most material out there these days only skims the surface. Thank-you for your thoughtful approach and insight! Thank you so much for your kind comment, Samantha! My hope is that people who come here to the site will perceive it as a kind of cross between a library and a museum 🙂 One fellow called it a “sanctuary”. You made my day! Thanks again!